One last dig. One final descent into the twisted tunnels of ancient Jerusalem. Will the truth be found among the treasures that lie beneath the holy city? Dr. David Chambers, leading archaeologist, has spent his professional career uncovering the facts in the artifacts. His work sets the standard for biblical research in the Holy Land. But surrounded by the evidencOne last dig. One final descent into the twisted tunnels of ancient Jerusalem. Will the truth be found among the treasures that lie beneath the holy city? Dr. David Chambers, leading archaeologist, has spent his professional career uncovering the facts in the artifacts. His work sets the standard for biblical research in the Holy Land. But surrounded by the evidence, David has sunk into an abyss of doubt. A painful experience with a seemingly unresponsive God has left him without hope. The Old Testament scriptures that used to fill his mind with wonder now drive him to frustration. His unanswered questions have ripped him from both his academic pursuits and the love of his life, his fiancée, Amber. An old friend and mentor reaches out to David, enticing him with the riches described in the enigmatic Copper Scroll. Losing ground with his peers, his love, and his faith, David Chambers has a choice to make. Will he undertake one final dig to unlock a secret that could alter the course of history? Do the mysteries of the Old Testament hold the key to the political turmoil of the Middle East? 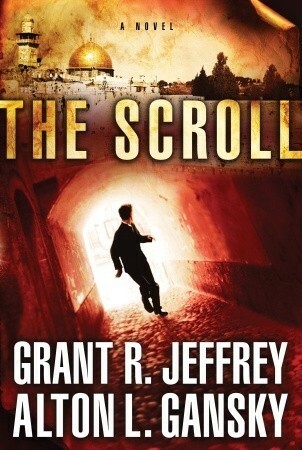 In a world where faith has been eclipsed by the allure of doubt, The Scroll offers a different journey: a gripping adventure to find truth worth dying for. I really liked this book as I have every other Alton Gansky book that I have read so far. I really liked the historical detail that went into this. That being said, I had to knock the star rating down a notch because that same detail wasn't there for the ending. It seemed rushed. That certainly did not take much away from my enjoyment and I will be recommending this to several people that have read many of my recommendations. This will definitely get a strong recommendation. Picked this novel up at the library because it sounded interesting. The plot was decently fast paced and kept me turning the pages. A leading archaeologist in the field of biblical artifacts is summoned to find the lost treasures of the Copper Scroll. In looking for the treasures, he is in danger by factions that do not want the artifacts found. This was a very entertaining story with twists that kept me guessing to the end. I've read several of Alton Gansky's books and LOVED them! This one will not go down as one of my favorites. It was interesting to learn more about the biblical archeology field. But the story seemed to drag at times and I felt like there were loose ends. However, I'd read another Alton Gansky book in a heartbeat! Characters were annoying. Plot took too long to get to the point; didn't get exciting until two-thirds of the way in, by then didn't care, just wanted it to end! Interesting subject matter, but not executed well at all. Don't get what's up with the Ezekiel tablets? Fast paced . I enjoyed the historical background of the story. Enjoyed the archeological dig adventure. Got the book because I've read Alton Gansky in the past and found his stories well done. Will consider more of his in the future. Very good plot line. This book kept me engaged. At one point I was thinking, "This is a horrid book", but it turned out okay. I would recommend this book. I was not so impressed with this novel. this was not the fast paced dialogue and story I am so used to with this genre. Entertaining. I enjoyed the mystery, the twists and turns, but the end kind of fizzled out. I expected some sort of big, huge ending, or some big surprise. Didn't happen.